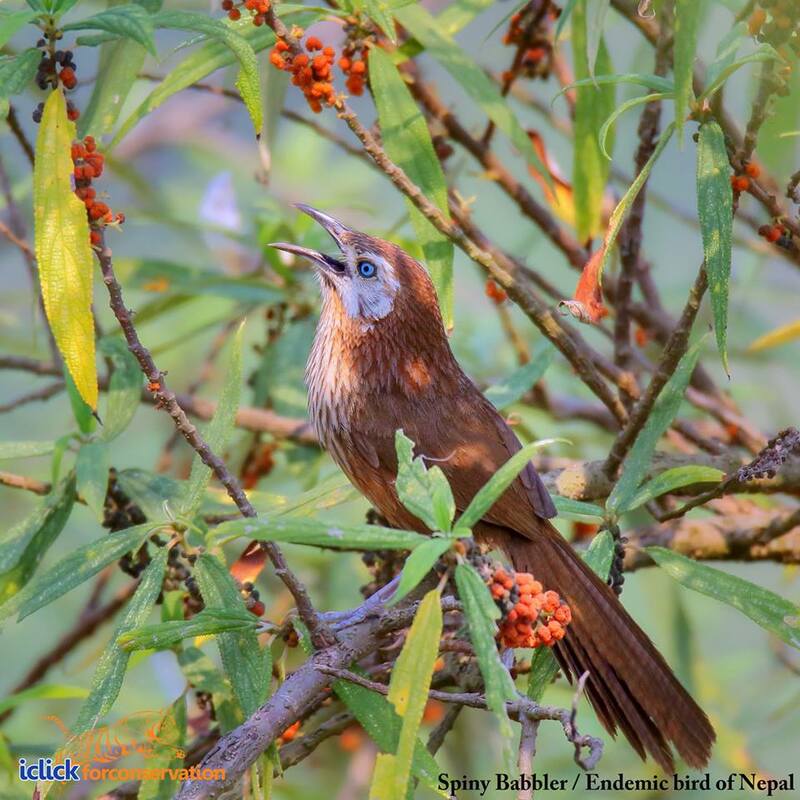 Spiny Babbler, the bird found only in Nepal. 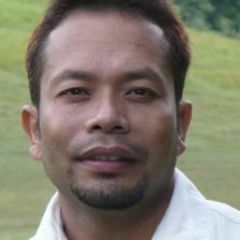 Photo by Sagar Giri. Used with permission. Although more than 800 bird species are found in Nepal, the Spiny Babbler (Turdoides nipalensis) is the only bird that is endemic to the country. The greyish-brown bird, called Kaande Bhyakur in Nepali, lives in dense scrub and can be spotted more easily at elevations ranging from 500 meters to 2135 meters. Although the Spiny Babbler has been fascinating ornithologists the world around for years, environmental degradation is threatening this unique, much-loved bird. The medium-sized bird is shy in nature and it’s difficult to observe them, except early in the breeding season when males often sing in the open. It seeks insects almost entirely on the ground among low bushes, appearing only occasionally. Spiny Babbler mounts branches of bushes or small trees to sing, bill pointed upward and tail down. It is a good mimic, with squeaks, chuckles and chirps. It is most easily located by its song and occasionally sings as late as September and October. The species is subject to seasonal altitudinal movements. Likewise, former-American ambassador to Nepal Scott DeLisi spent years trying to spot and photograph this bird. The bird is threatened by the clearance of scrub for agriculture and expansion of urban areas. Outside protected areas, it is sometimes threatened by hunting, and the hills surrounding the Kathmandu Valley have seen a decline in Spiny Babbler numbers. However, the same habitat loss that is destroying the Spiny Babbler's habitat in some areas might actually be creating more in others. As the forest continues to thin due to deforestation throughout the country, the scrub-dominated habitat that they call home is being created in its wake. But only time will tell what is in store for the population of Nepal's only endemic bird. Sanjib is correct that I did indeed seek the spiny babbler during my tenure. He neglected to add, however, that we were lucky enough to find it weeks before our tour ended! Nepal May have only one endemic bird but birding there is a wonderful way to experience one of the loveliest places on the planet.